Sugar Minott had dancehall music running through his veins. He was born at 26a Chisholm Avenue and as a youngster he was often found hanging around a busy Kingston dancehall venue located at 82 Chisholm Avenue and late at night when there was a dance in session he would sneak in to hear all the latest sounds. In the late seventies as he was making inroads into the music business at Studio One, firstly with the African Brothers and more successfully as a solo artist, he also was involved with sound systems in the Maxfield Park area of Kingston. These included working on a set called Sound Of Silence, and, more importantly the Black Roots sound system which was owned by several people including Blacka, Jimmy and Sugar himself. Tiring of the lack of financial rewards in the business in 1979 he opted to form, with help from Keith Hartley and James Brown aka Jimmy, his own labels. Black Roots was the name chosen for his own productions and early releases which did really well for him were his own titles “Man Hungry” and “River Jordan” as well as hit tunes from Trevor Hartley and Barry Brown. A second label Youthman Promotion was started almost simultaneously, early hits were deejay tunes from Captain Sinbad and Ranking Joe whose “Youthman Promotion” summed up Sugar’s vision of the future. But things had to be put on hold for a couple of years as Sugar’s personal success took him off around the world and he chose England as his base. Returning home in 1982 Sugar committed himself to the Youth Promotion initiative, his way of giving back to the community. His headquarters was now located at 1 Robert Crescent, Kingston 5 and it was from here that his efforts went into overdrive. He knew that there were many, many talented youths who never had a chance to make it in the music business. The building of the Youth Promotion sound system allowed the ghetto youths to practice and learn all the skills needed to cut records which could then be released on Sugar’s own labels, thus avoiding the trap of the rip off producers. The Youth Promotion collective was very close to Beth Lesser and Dave Kingston’s hearts and they have great memories of the sound and the people who frequented it. The Youth Promotion sound first started playing yard dances and parties but the official opening was probably late July 1984 (a YP 1ST Anniversary tape is dated 29th July 1985). Dave remembers that it consisted of “a Technics turntable, and I was once told by Stitch that the cross-overs were originally British-made, but re-conditioned in JA (like everything else...). The boxes were definitely homemade, and for some reason I seem to recall that they had a few amps, one of them being a mid-70's Carver” and Beth recalls “some Peavey amps...Pleasure Minott was so proud of them.” The sound had the legendary Tippatone selector Jah Wise (b. Robert Campbell) selecting during 1984 with Major Stitch (b Melbourne James) operating. But when Jah Wise left for America in 1985 Stitch took over at the controls. Alongside him the sound mixers would include experienced recording engineer Peter Chemist (b. Donovan Thompson), Talouse and Sugar’s brother Pleasure Minott (b. Rudolph Simms) , whose other expertise was stringing up the sound. With Sugar being a class singer himself, Youth Promotion always appreciated a dancehall vocalist. Some of the early singers to appear on the set were Trevor Junior whose “War & Crime” was the first single to appear on the newly reactivated Youth Promotion label in 1983. Beth describes him as “a good singer and a well behaved, nice young man, not wild and reckless like some of the rest of the crew”. Cassey Man (b. Caswell Jones) was one of the of the original Youth Promotion singers from the days at Maxfield Park. He recorded for a few producers including Sugar Minott but “although he always possessed a fine voice” he never got that one hit to make the breakthrough. One singer who did make his breakthrough on Youth Promotion was Tenor Saw (b. Clive Bright). A possessor of an unique, but often imitated singing style, Saw cut his first album “Fever” for Sugar Minott. In a dancehall soundclash he was a vital asset to have on your side and he graced the YP set on numerous occasions. In 1985 Beth pinpointed Tenor Saw as “a youth with a lot of ambition and enough talent to make his mark on music”. Tragically Saw passed away in Houston in 1988 but in that short time he certainly left an indelible mark on the dancehall scene. Yami Bolo (b. Rolando McLean) was a spar of Tenor Saw and he came to YP at a very early age and would take the microphone regularly in the dance with his youthful charm winning over the crowds. Beth says of Yami, “Back in the 80’s, he was still a teenager and he was wild and free, but with a passionate desire to learn the music business. At 14, he was bleaching all night with the sound on the road and leading the line up in sound clashes. Growing up loose and living an unstructured life, he took more time to settle down. In this, his next mentor after Sugar, Junior Delgado, was helpful. But, in his teens, he climbed trees, got into scraps, smoked the chalice and lived like there was no tomorrow. But he never, ever strayed from music. Music was what he wanted to do and he stuck with it, through everything”. He has gone on to carve a career as a conscious roots artist cutting numerous well received singles and albums. Other ambitious youth singers like Junior Reid (b. Delroy Reid)and Half Pint (b. Lyndon Roberts) would often turn up at a Promotion dance in the early days. Reid, in fact, also cut his first album “Original Foreign Mind” for Sugar’s Black Roots label which included the monster title track. Don Angelo (b. Donovan Smith) was another singer who was around Sugar from 1979 until he eventually made a breakthrough in 84/85 before moving to the Jammy’s stable. Veteran dancehall singer Thriller (b. Devon Chambers) had been around the King Attorney/Papa Roots set during the latter part of the seventies and in 1984 Sugar recruited him for his sound and his soulful delivery can be heard on numerous tapes over the next few years. Two other singers who graced the set and perhaps should have been better known were Chris Wayne and Lloyd Hemmings. Wayne was mentored by Sugar and just loved to sing and play guitar. 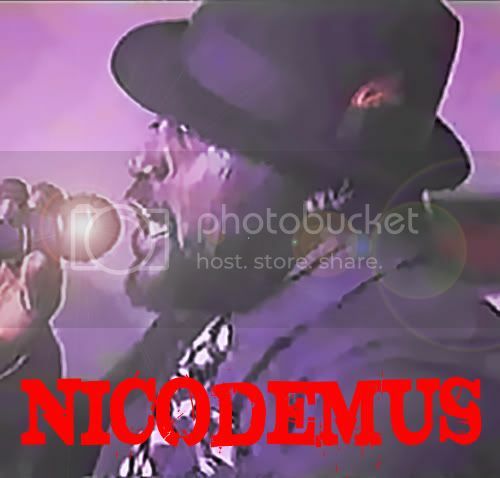 Again he would often be there on the YP sound, singing and harmonizing, especially when Sugar Minott appeared in person. Lloyd is described by Beth as “a very talented singer and dancer. He was terribly under recorded because of his distrustful nature. But he could sound exactly like Sugar Minott and often sang harmonies on his work. He did trust Sugar. He could read and write music and had studied art. He was always trying to teach the younger ones who were often, unco-operative students to say the least. He sometimes seemed to drift from reality. During certain visits of ours he would seem better than at others. He was a very creative and talented young man. Lloyd lives and works in California now”. An impressive array of deejays passed through the Youth Promotion ranks during the halcyon days of the sound. Early starters included Daddy Ants, the older brother of Lloyd Hemmings, knew Sugar back in the seventies in the Waltham Park area. Known as the “Reggae Biter” he started with the Keytone sound before linking with up with Black Roots right from the very beginning. Another deejay with a long standing association with YP was Ant’s sparring partner Daddy Shark, who is the younger brother of Josey Wales. He was a country boy from St Ann who came to Kingston to try and emulate his brother’s success around 1985. Micmen like Santana, President Reagan, Skinny Ranking and Ashman (b. Reinaldo Ashman) could also be called upon during the first year of Promotions engagements. Jah Mikey (b. Michael Mitchell) was already an established deejay on the scene, working sets like Emperor Faith, Papa Roots, Arrows and more, but by the time he graced the YP sound he’d been elevated to the title of General Jah Mikey. He was very under recorded but his positive contributions always enhanced a dance. He’s still involved in the reggae and hip hop business having relocated to Los Angeles and opening a studio. Younger members of the collective muscled in on the deejay action with Blacka T (b. Anthony Richards) perhaps causing the most ripples in the dance. Again under recorded, his only long player “Good Musician” was surprisingly not for Youth Promotion but was for Augustus Pablo. Often at his side, jostling for the mic was Dona P (b D. Brown). Beth remembers them, “Blacka T was young and wild. Him and Dona P were sparring partners. The T was for Trouble and the P for Problems. None of these kids were mean or badmen, they were just teenage boys let loose in the freedom of Sugar yard. Some were more serious about the music than others, but they all liked to have fun and fool around”. Macca P (b. Peter ..) was another that often vied for a chance around the set. A major force of the Ragga era Daddy Freddy (b. Frederick Nelson) first came to prominence on Youth Promotion, his quickfire delivery and entertaining lyrics stood him out from the crowd and he was in like a razor when soundclash time came around. He toured the UK with Youth Promotion and made his home there making groundbreaking Ragga/Hip Hop records whilst also starring on London sounds Youth Promotion UK, an offshoot set up in London and run by Earl Minott, and Sir Coxsone Outernational. Deejays Tony Rebel and Bimbo, the original name that Garnett Silk went under, were two budding artists on the Destiny International sound. They travelled to Kingston to boost their careers and they could be found performing on Sugar’s sound around 1986. One colourful character around the Youth Promotion camp was undoubtedly Jackie Knockshot (b. Samuel Hamilton) and he first came to the attention of dancehall fans when he appeared licking off gunshot salutes on Sugar’s mighty single “War & Crime” on the Youth Promotion label. He was remembered fondly by Beth as “a very talented cartoonist and he worked tirelessly on drawing comic books about the sound system scene and Jamaican life in general. Of course, his talent was never recognized. He was friendly, funny, very trusting and kind. There was no badmanship about him at all. He always kept people laughing with his imitations, sound effects, karate moves and his general horsing around. But, like everyone else, he was disorganized, sometimes thoughtless and often didn’t act in his own best interest. He so wanted his mother to be proud of him for his comics. I’m sure she was always telling him to stop drawing and do his homework. Despite everything, he was always happy and exuberant, bursting with new ideas- for recording sound effects, for drawing. He wasn’t always smart, but his heart was in the right place. I feel so sad that he came to a bad end.” It seems he relocated to New York in the early nineties and was carving out a career deejaying as High Plains Drifter when it seems he became a victim of violent crime himself. From 1985 onwards Youth Promotion were a sound in great demand and there were frequent tours abroad taking in Canada, which was their first overseas venture in December ’84, America and England, often with Sugar leading a full crew of deejays and singers. The period spanning the years 1985/86 were the best for the Youth Promotion crew but as ever things shift in reggae music and the nature of dancehall changed particularly with the emergence of the juggling sounds who gradually ousted the sounds which carried live artists. Luckily there are numerous sound tapes of Youth Promotion in action between the years of 1984-87 which highlight the vision that Sugar Minott had, which was to allow the underprivileged youth a chance to promote themselves in the dancehall business. WCTD would like to acknowledge the invaluable help given by Beth Lesser and Dave Kingston. Many thanks. “Youth Promotion meets Killamanjaro in downtown Kingston with the Jaro posse mixing in with Sugar’s crew resulting in a highly entertaining evening. For one night only we have two selectors, Major Stitch and Ainsley sifting through the music box to find the top riddims for the supas to work with. Unsurprisingly it’s the “Sleng Teng” which has them all lining up for a slice. Tenor Saw has his “Pumpkin Belly”, Yami Bolo is “Under Me Fat Thing”, Peter Metro has “No Tired Body” and Sugar Minott knows it’s a ”Jam Right In The Street”. Super Cat’s wicked on some Studio 1 rhythms for “Nanny Goat Skank” and “Your Love Have A Hold” while Peter Metro namechecks Smiley Culture as an inspiration for “Police In A England”. “Promotion travel to the North Coast to play at Bulby’s Arrows Bamboo Lawn venue. The vibes are nice for this dance and it’s down to the sterling work of the YP posse. Colourman is growing in stature as their leading deejay, with his “Watch The Jeep”, “Dem Wicked” and “Almshouse Business” standing out from the crowd. Jah Mikey and long time spar Nicodemus are reunited around the control tower for the night and their experience shows on Mikey’s “Money Man Skank” and Demus’s “Coke Seller”. "Most Kingston sounds liked to take their sound "out a country" and this time it's a clash against Arabic International in Mt Salem area of Montego Bay. Daddy Ants chats in fine style on "No Mash Me Down" and "Dance A Fire" and likewise his spar Daddy Shark on "Ugly Monkey". Squiddly Ranks does a spot of freelancing and gives the crowd pieces like "Know What Police Can Do" and "Black History". On this night the Promotion crew is indeed very youthful with pre-teens White Mice, Little Rohan, Jesse James and Little Dean all getting time to work the mic. There is also an early appearance from a young Lady Saw who sings and deejays on "John Crow" and "One Dance". Here’s another fine session featuring Youthman Promotion. Albino Gregory Isaac’s soundalike Yellow Bird fires up the place with a couple of vocal excursions including his take on ‘I don’t want to be lonely tonight‘. Then Major Stitch drops ‘Them a Lickshot’ and Sugar steps up to give the Sheffield posse it live & direct backed up by Donna P.
Major Stitch then turns to Half Pint for the next few tunes and we get Hugh Griffiths & veteran Principal ‘Jah’ Grundy inna combination style over the ‘real rock’ rhythm. The tape finishes with Tenor Saw over the Stalag rhythm singing his classic ‘Ring the Alarm’.. Thanks to Daddy White Squall we can now present to you the first part of this big soundclash between Promotion & Blackstar. It's dubplates galore from Major Stitch with specials from, King Kong, Teddy Brown, Sugar Minott, Chris Wayne, Superblack, Shinehead, Junior Reid & Johnny Osbourne. Colourman is on this tape a lot flashing a whole heap of Bible lyrics and when he drops his big hit 'Kick up rumpus' he gets the crowd bawling for more. The crowd are whipped into a frenzy again when the two youthman DJ's Rohan & Devon go back to back over the 'Answer' Rhythm. There's a small clash of the human guns, Jackie Knockshot & Joe Lickshot as Knockshot gives the Sav La Mar Posse 'The death of Joe Lickshot'. Joe comes back with his 'Original silencer'. Sugar tells the crowd that "Danny Blackstar used to check him for nuff music" before Stitch drops a wicked version of the 'Rockfort rock' rhythm for Yami Bolo to sing 'Mother move' over. Youth Promotion are in an almshouse mood for this big clash in Sav La Mar. It starts off with the late great Booga Minott giving the Westmoreland posse his massive hit ‘Herbman hustling’ before bringing in Josey Wales brother Daddy Shark who rides the version inna fine style. Major Stitch then drops ‘Lazy Body’ by Echo Minott and over the version we get to hear from Youthman singers Chris Wayne and Mr Butter who models himself on the singer Thriller. The great Colourman is next up to the mic and he delivers his ‘Dirty ways girl’ lyrics. Major Stitch drops a great Half Pint special called ‘Due to Youth Promotion’ Sugar sings his classics ‘Vanity/Roll River Jordan’ over the version in a medley fashion, before Tony Rebel comes with ‘A funeral service for a big sound’ and a next lyrics aimed at Tiger. We carry on with our tribute to the late great Sugar Minott with this really nice session from his set Youth Promotion caught live at the SNWMF in 2005. The first part has Drifter running a wicked revival selection including hot specials from amongst others: Dennis Brown, Lone Ranger, The Melodians, Johnny Osbourne, Tenor Saw, Freddie McGregor, Terry Ganzie & Sugar Himself. After a while Sugar & his daughter go in a old time style on the mic before Richie Spice steps up to sing over some rhythms. Veteran deejay General Smiley gives us the original Studio 1 'Rub a dub style' after Sugar performs his classic 'Vanity'.